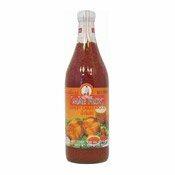 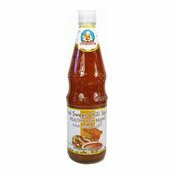 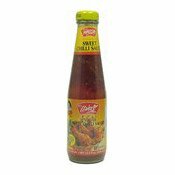 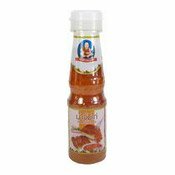 Ground chilli, garlic and special seasonings are blended into a superb sweet chilli sauce which is most appetising for fried, grilled or special menu dishes such as hot, sweet and sour grouper, in addition, it is a perfect partner for treasure Thai folk dishes such as fish cakes or spring rolls. 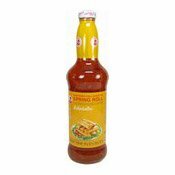 Close the cap after opening and keep refrigerated. Avoid heat and sunlight, Change in colour or texture (separate layers) is natural and harmless. 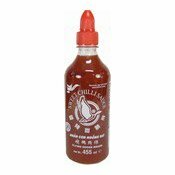 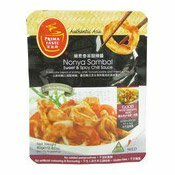 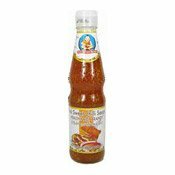 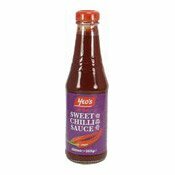 Ingredients: Sugar, Water, Garlic, Chilli Mix (Chilli, Salt, Vinegar) (14.00%), Vinegar (Distilled Vinegar 10%), Thickener (E1442), Flavour Enhancer (Monosodium Glutamate E621). 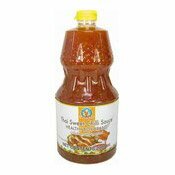 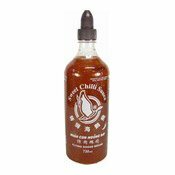 Simply enter your details below and we will send you an e-mail when “Thai Sweet Chilli Sauce (肥兒標甜辣椒醬)” is back in stock!